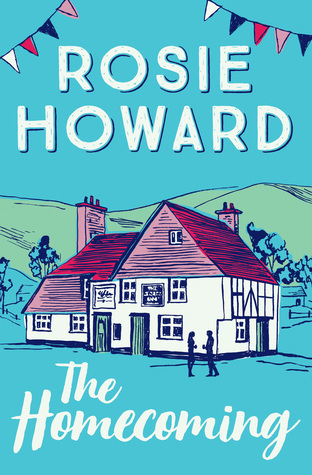 The Homecoming is the first book in the Havenbury series and introduces us to Maddy who has returned to the pretty market town of Havenbury Magna. Hearing the devastating news that her godfather Patrick has had a heart attack, Maddy knows that, until Patrick recovers, she must take over the running of the Havenbury Arms, a place she once called home. What then follows is a delightful depiction of English village life. Maddy finds that running the pub is fraught with difficulties and that being back in Havenbury opens up a whole set of emotions which Maddy has buried for a long time. The story flows really well and the author has done a really good job of setting the scene and introducing us to an array of characters who I hope will feature in future stories about Havenbury. I particularly enjoyed the village atmosphere and of how everybody seemed to pull together. There are some lovely light moments which made me smile, and yet there are also some quite dark elements, especially as we find out that Maddy is coping with something traumatic in her past. As with all first books in a series there is a sense of 'getting to know' everyone and this is done in a light and easy style and with a lovely contemporary feel. Overall the story is an enjoyable read and I am looking forward to reading the next book in the series.